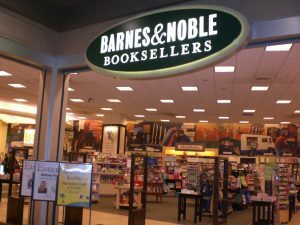 The news arrived abruptly for most of the workers affected who arrived at work on Monday morning at different locations of Barnes & Noble to be told they did not have a job any longer. The number of workers affected by the jobs cuts could not be determined. In April of 2017, Barnes & Noble employed approximately 26,000 people. A spokesperson for the company said it had been reviewing every aspect of its business, including labor. Given the decline in sales this most recent holiday season, staffing is being adjusted so that the needs are met of the existing business and customers. As business improves, said the spokesperson, the company will make adjustments accordingly. Although spending by consumers was for the most part strong during the holiday season of 2017, not every retailer reaped the awards. Holiday sales in 2017 for Barnes & Noble fell by over 6% to end the period at $953 million, in comparison to the prior year. Sales at same-stores were down 6.4% for the holiday shopping period and sales online dropped by 4.5%. The retailer, which is headquartered in New York, has faced increasing pressure from Walmart and Amazon, which managed to take a larger chunk of the books market. In addition, Walmart announced a plan to make a huge push into selling ebooks as well as e-readers on its Walmart.com site later in 2018. At the same time, Amazon continues to open more of its brick and mortar bookstores. B&N continues to be pressured to make a move prior to it being too late to save itself. In July of 2017, Sandell Asset Management an activist investor urged the company to sell, saying it could be purchased for a minimum of $12 a share and would attract internet and media companies seeking a presence in retail. Sandell said the real estate of the company at the time was beachfront property. Then, after not reaching any agreement by November with B&N, Sandell proposed taking the company private in a deal that put a value on the company of over $650 million equal to just more than $9 a share. The book seller said at the time, the deal was high unlikely to happen.